Frank Coe was born in Richmond, Virginia, in 1907. He attended the University of Chicago before joining the staff of the Johns Hopkins University Institute of Law in 1928. Coe worked for the Brookings Institution. According to Levine the list of "espionage agents" included Frank Coe, Alger Hiss, Donald Hiss, Laurence Duggan, Lauchlin Currie, Harry Dexter White, John Abt, Marion Bachrach, Nathan Witt, Lee Pressman, Julian Wadleigh and Noel Field. Chambers also named Joszef Peter, as being "responsible for the Washington sector" and "after 1929 the "head of the underground section" of the Communist Party of the United States. Whittaker Chambers later claimed that Berle reacted to the news with the comment: "We may be in this war within forty-eight hours and we cannot go into it without clean services." John V. Fleming, has argued in The Anti-Communist Manifestos: Four Books that Shaped the Cold War (2009) Chambers had "confessed to Berle the existence of a Communist cell - he did not yet identify it as an espionage team - in Washington." (4) Berle, who was in effect the president's Director of Homeland Security, raised the issue with President Franklin D. Roosevelt, "who profanely dismissed it as nonsense." Coe was blacklisted from work in the United States and in 1958 went to work in China. This included helping Mao Zedong in his Great Leap Forward programme, an attempt to increase agricultural and industrial production. This reform programme included the establishment of large agricultural communes containing as many as 75,000 people. The communes ran their own collective farms and factories. Each family received a share of the profits and also had a small private plot of land. However, three years of floods and bad harvests severely damaged levels of production. Because of his relationship with Golos, in 1941-42, Silvermaster became the coordinator of several other Soviet sources - economists like himself - within the wartime U.S. government: Frank Coe ("Pick"), William Ludwig Ullman ("Polo"), and David Silverman ("Eleron"). 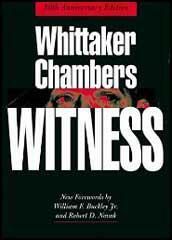 Others would follow, including Treasury's Harry Dexter White, who had been involved during the 1930s with the GRU network for which Whittaker Chambers had been a courier. "According to our information," Moscow cabled New York station chief Vassily Zarubin in November 1942, "at one time (White) was a probationer of the neighbors," confirming his earlier role. Moscow advised "singling out a special illegal' to work with him," considering White's special importance." The "Silvermaster Group," as it was called by American counterin-telligence experts once it was exposed, was actually an untidy assemblage of agents and sources with little "group" identity. Thus, one member - Frank Coe - complained frequently to handlers that his agent work was hindering his "official" career. Another - Solomon Adler ("Sax") had actually left Washington for duties in China, though Moscow still counted him in Silverrnaster's conspiratorial cohort. Even Harry Dexter White, a veteran Soviet source, was a reluctant recruit: agitated constantly over the possibility of exposure, concerned with career advancement within Treasury, and generally (in Zarnbin's words) "a very nervous and cowardly person." Despite the organizational disarray, Silverrnaster and his associates produced for the NKVD the most valuable information then being generated from its American stations. Immediately after Germany's invasion of the Soviet Union in June 1941, for example, Silvermaster delivered to Golos and other Soviet operatives documents from the U.S. military attache's office in London and elsewhere containing recent data on the German armed forces and its deployment in Germany and various occupied countries. He also turned over information on U.S. military-industrial plans and on the views held by leading American policymakers concerning developments on the Soviet-German front, much of which presumably reached Silvermaster (a mid-level bureaucrat) from his more highly placed friend Harry Dexter White. Accurate or otherwise, such opinions held great interest for Stalin and his closest colleagues.